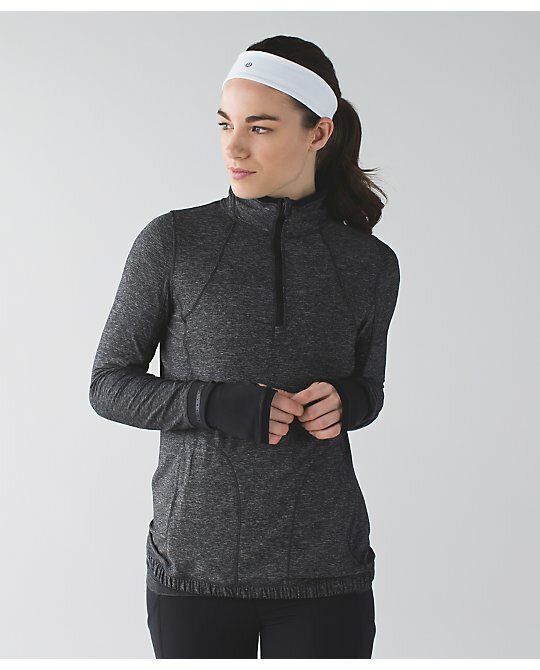 Only a couple of things we haven't yet seen elsewhere - new Berry Rumble Rest Less Pullover. New pullover spoiled in headband photos. Though, I swear this design is ringing a bell with me. Update - a reader (thanks Ms. A.!) tells me this is the Pace Pusher Half Zip that was out last year. Looks like the pace pusher or pace something half zip from last year? Came in pigment blue and grey? I have that pullover from last year!!! Identical in color and design... lululemon must have A LOT of backed up inventory!!! The pullover is from last year. It came in the black shown, grey, and a really pretty blue. I can't remember what it was called. I think it's light luon and it was part of the running line. @LLA - that is the Pace Pusher half-zip, came out February-ish of this year. Unless there is a wild new color, I'm guessing this is old inventory. I'll be buying the Rest Less PO in BR. Finally a top I love in a color I love and want! I've waited for BR patiently in an item that I'd love. That looks like a Pace Pusher Half Zip. I bought one in the summer on WMTM, same colour and detail. Love the color of the restless. I definitely own this pullover in a light gray from last fall sometime...not sure of the name though. But I love the elastic bottom of it because it doesn't move around when I run! I hope the lucky luon headband is coming back! It looks like the forthright pullover/ half zip, which is not that exciting since the elastic rolls. I got this pullover in harbour blue in the spring (or maybe even last fall - crazy how time flies!) I think it's called the pace pusher 1/2 zip?? 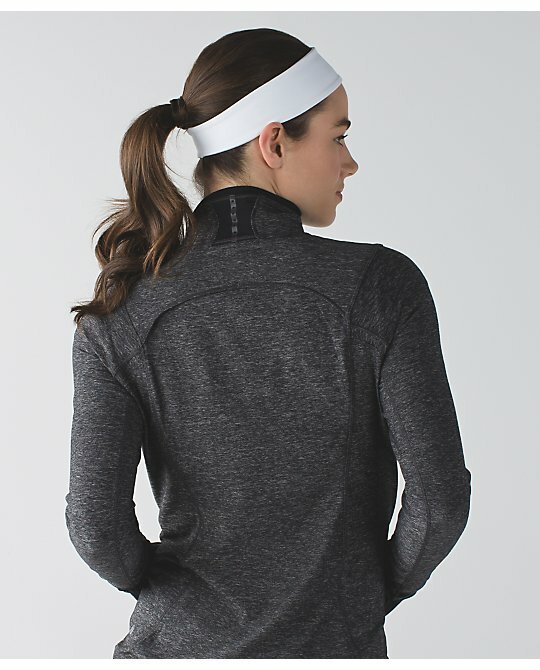 It looks like the Pace pusher 1/2 zip to me. It's the Forthright!!!! 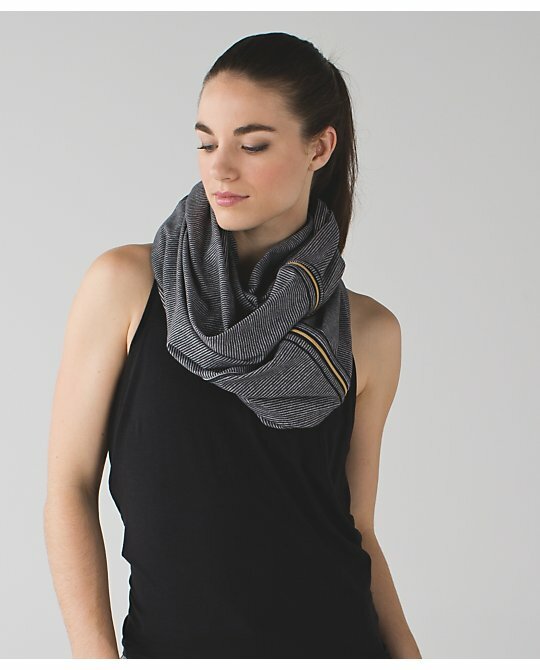 I have it in Grey with flash zippers. One of my faves! I think the pullover is the Pace Pusher Half Zip. I bought one on WMTM this spring/summer and I really like it. I have both the Pace Pusher and the Forthright - this is the Pace Pusher. Lighter weight but with similar design of the Forthright. The Pace Pusher is a great layer for running and I agree that although the gather band at the bottom may be unappealing its very functional for running and keeping the top in place! Yes, me too. The an all white one that I really like and was hoping for the BR colour!